GO GREEN – APEX HAS ECO-FRIENDLY SOLUTIONS AT PRICES YOU’LL LOVE! As more and more homeowners seek to improve the eco-friendliness of their properties, here at Apex Exteriors in Chicago, we share that same commitment. 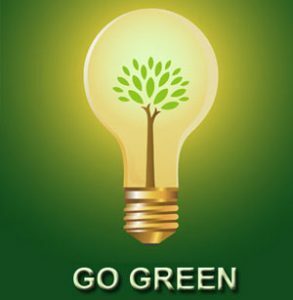 We believe that every home in Chicago can go ‘green’ with the right home improvements that benefit the home, save money, and protect the environment. Our earth-friendly solutions are designed to improve property exteriors with beautiful and practical additions that enhance the function of the home. From saving water to conserving energy, we offer a range of eco-friendly solutions at incredible prices; at Apex Exteriors, helping the environment doesn’t have to cost a fortune! Want to do your bit for the environment and improve your home at the same time? Give us a call today to discuss our eco-friendly exterior and roof solutions for every home in Chicagoland. Apex Exteriors can now install a brilliant range of rain barrels to help you conserve water at home. Rain barrels are installed directly onto existing gutter systems and can revolutionize the water consumption of a property, as well as benefiting the environment in a number of other ways. Rain barrels are above ground systems that collect the water that runs off the roof and into the guttering system. Instead of running down the downspout and straight into drains, rainwater collects in a barrel so it can be used at a later date. Common garden rain barrels can store about 55 gallons of water, although the design and size of the barrels do vary. Most barrels are constructed with two holes, one at the top of the barrel to provide an overflow and one at the bottom of the barrel to make the water easy to access. While the system may seem very simple, it can take a standard guttering system and turn it into an eco-friendly system that’ll greatly benefit your home and the environment. Gutters are designed to carry rainwater away from a property so it can drain away safely without causing any damage to a home. A rain barrel can have a very positive impact on this process, as it limits the amount of water that a home is sending straight into the sewage system. Instead of sending rainwater rushing off to the sewage system, which can lead to contaminated water ending up in rivers, rain barrels offer a much more natural way to dispose of the water. As the water from the barrel is used in the garden, it drains naturally into the soil, conserving fresh water and reducing the demands on the sewage system. Having water on-tap outdoors is incredibly convenient. Not only does having a rain barrel mean that you’ll always have a useable source of water outdoors after it rains, but during a drought, or when there are restrictions on water-use, you’ll have water on hand for your garden. A rain barrel can help to keep your garden beautiful, but it can also be a beautiful addition to your property exterior. Rain barrels come in a wide variety of types and styles to enhance the look of any outdoor space. For the eco-conscious homeowner, a rain barrel is a must-have addition. Rain barrels lower runoff pollution, which limits the damage caused to rivers and lakes; they reduce reliance on fresh water, which is very energy-intensive to create; and they help to prevent soil erosion, by decreasing rain runoff. Hundreds, if not thousands, of gallons of water can be saved by using rainwater for many tasks around the house. The lower the amount of water that you use from the tap for these jobs, the more money you’ll save on your water bills. Why Choose Environmentally Friendly Exterior & Roof Services? Are you environmentally conscientious and hoping to make your house or commercial space match your sustainability goals? These days there are more options for environmental home improvements than there ever has been. From having insulated siding installed to reduce the amount of heat that escapes from your home to keeping your roof in excellent repair to reduce your energy use, you can help the environment and improve your home in an outstanding number of ways. By choosing an eco-friendly service for exterior and roof work, you get more opportunity to do your bit for the environment and improve the look and function of your home at the same time. With an eco-friendly service, you’re introduced to a whole new world of earth-friendly improvements that you may never have considered before! Find out how Apex Exteriors can help transform your home with many ecologically friendly solutions. From rain water barrels to solar paneling, we can help you reduce your carbon footprint in today’s vulnerable climate. Are you trying to achieve the sustainability goals of your home or business? Would you like to reduce the costs of water and heating? No matter your reasons for striving towards a eco-friendlier future, Apex Exteriors can help you to realize that vision for your Chicago home or business. Go Green with Apex Exteriors and protect the planet and reduce your energy and water consumption. With our range of affordable roofing & exterior solutions, you can reduce the carbon footprint of your property and do your bit to protect the planet.If you would like to discover more about the eco-friendly solutions that the team at Apex Exteriors can bring to your home, then get into contact with us today! For more information, do not hesitate to contact our South Elgin office at 847-961-4601. Let Apex Exteriors make an impact on how your house performs in our ever-changing climate. Call Today for a Free Estimate 847-531-8960!